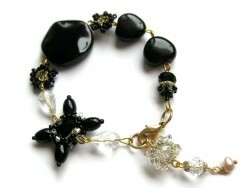 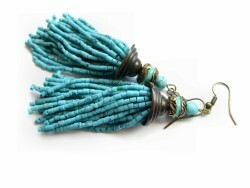 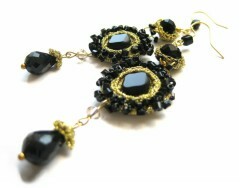 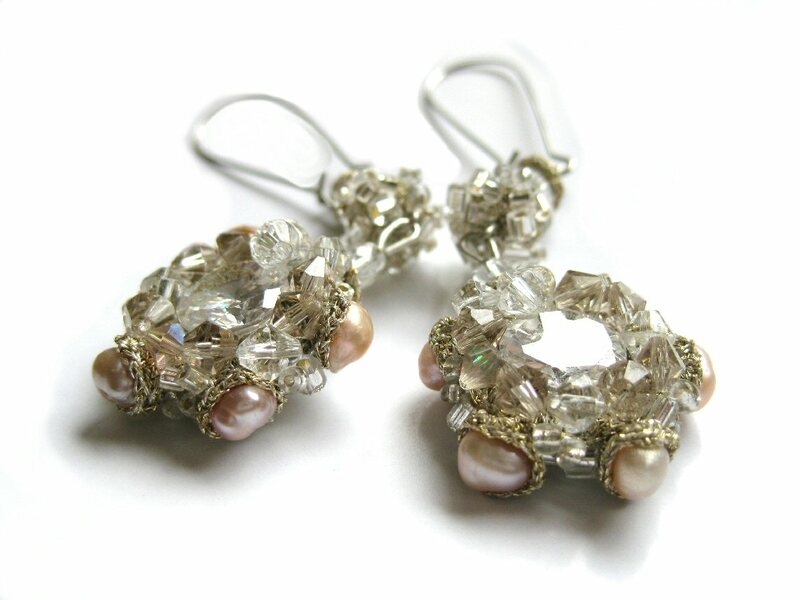 Category: All products, Earrings. 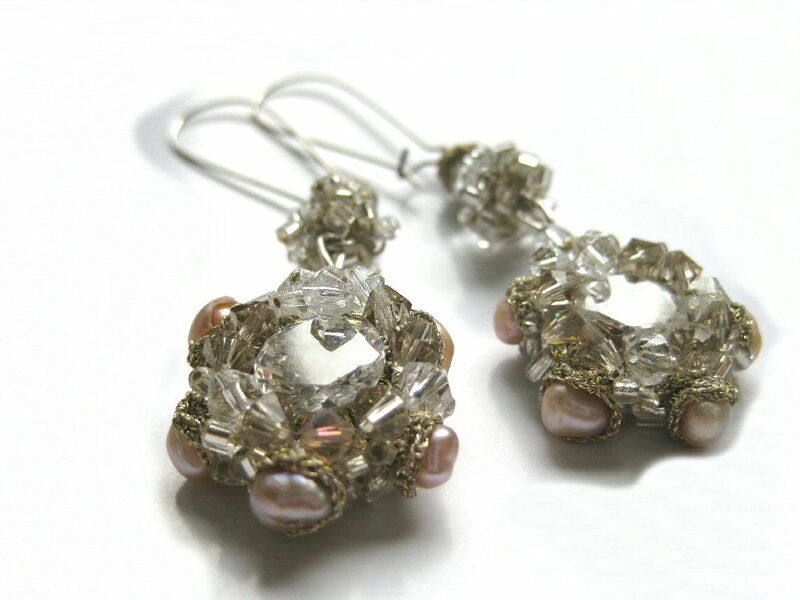 Tags: crystal earrings, earring, glass beads earrings, golden lace earrings, handmade earrings, pearl earrings, pendant earrings. 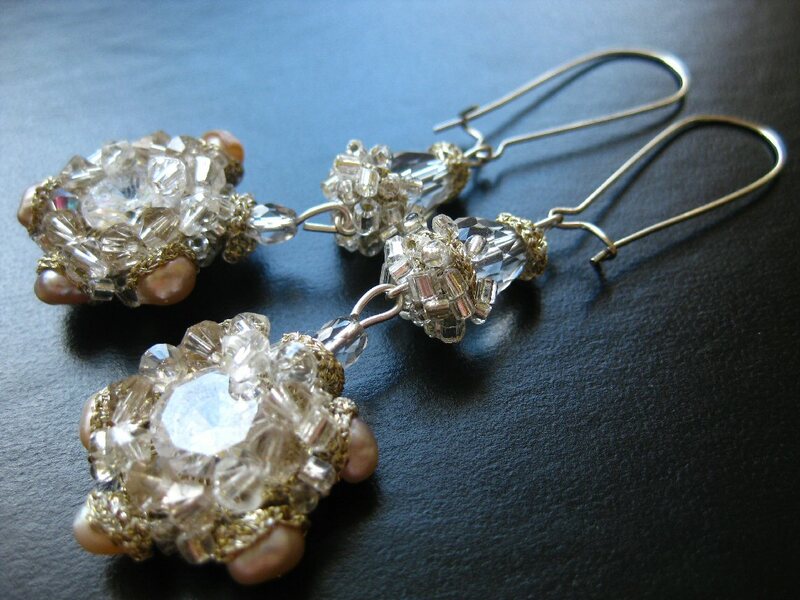 Glamorize your looks with these graceful crystal earrings! 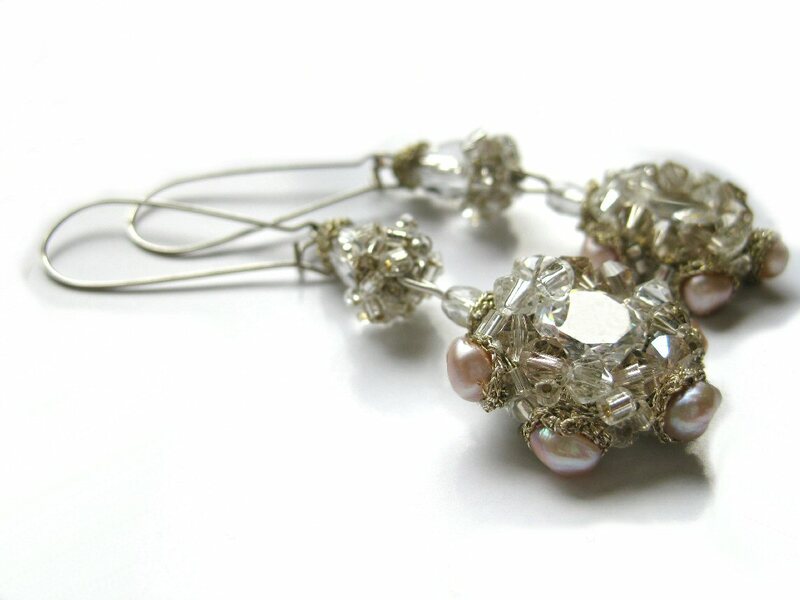 The pendants will shine and swing with every step you take to get you noticed. 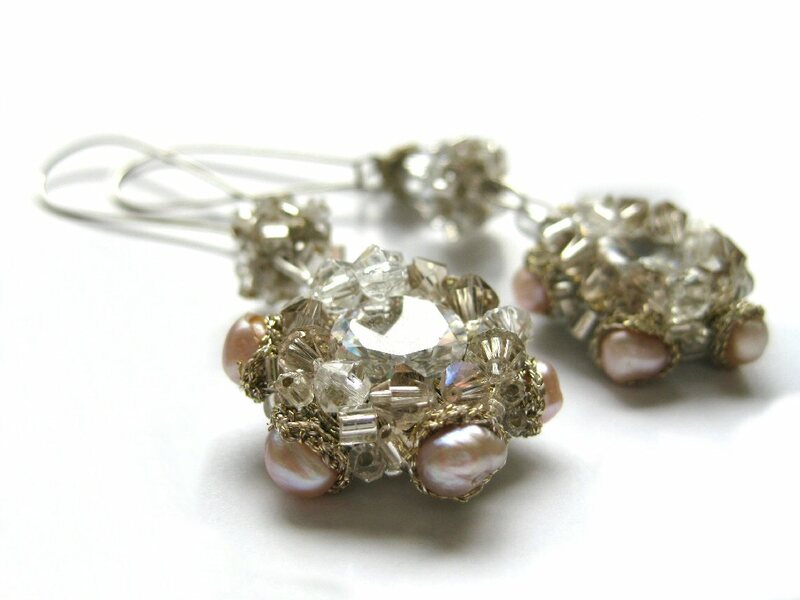 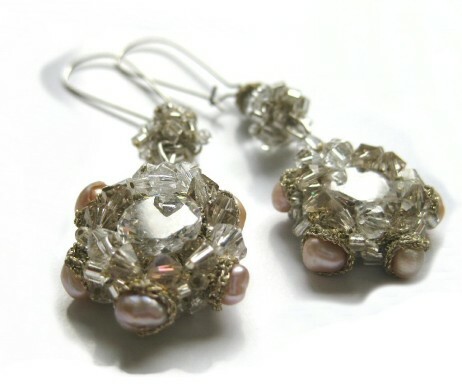 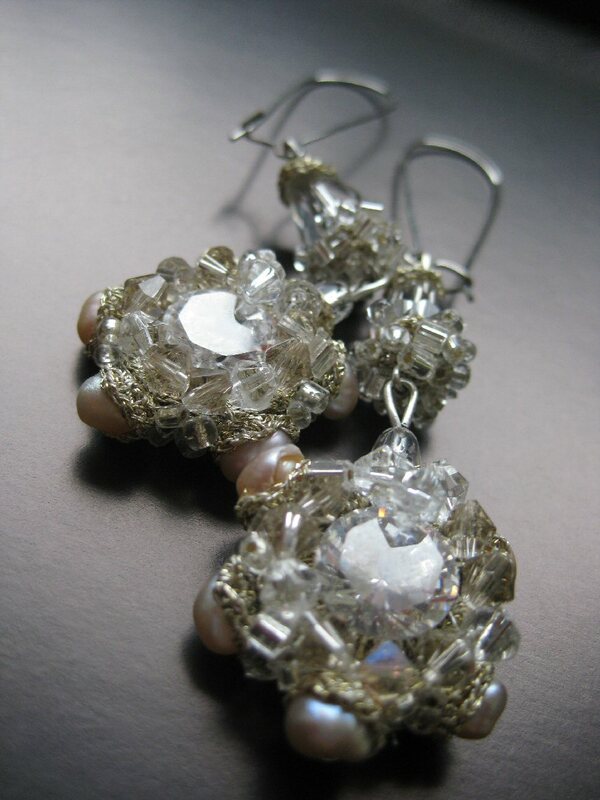 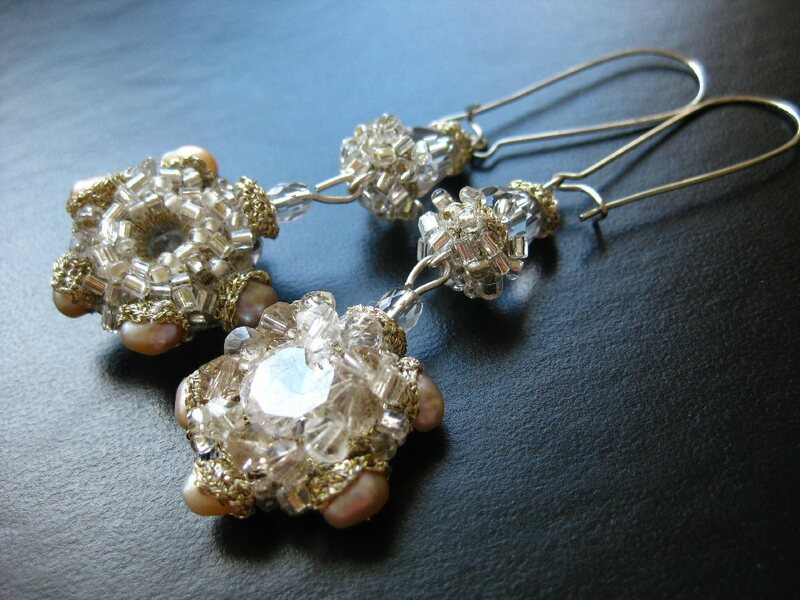 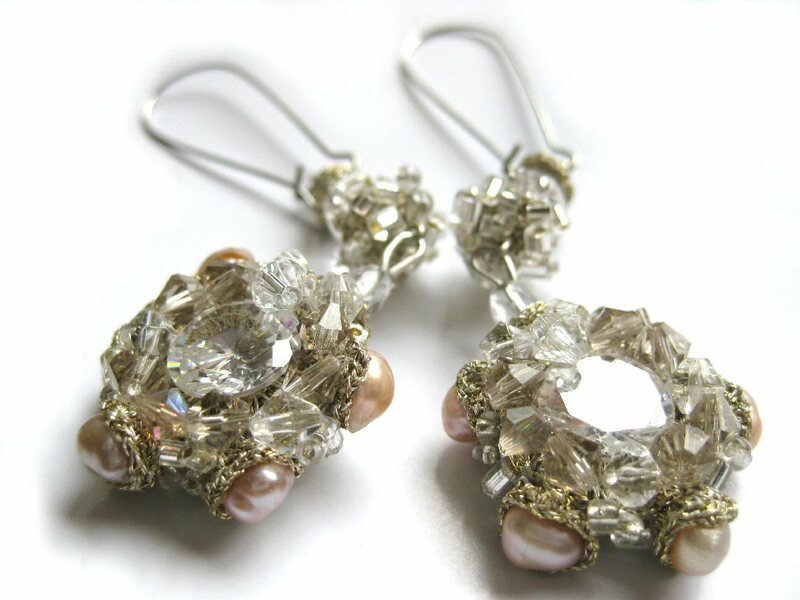 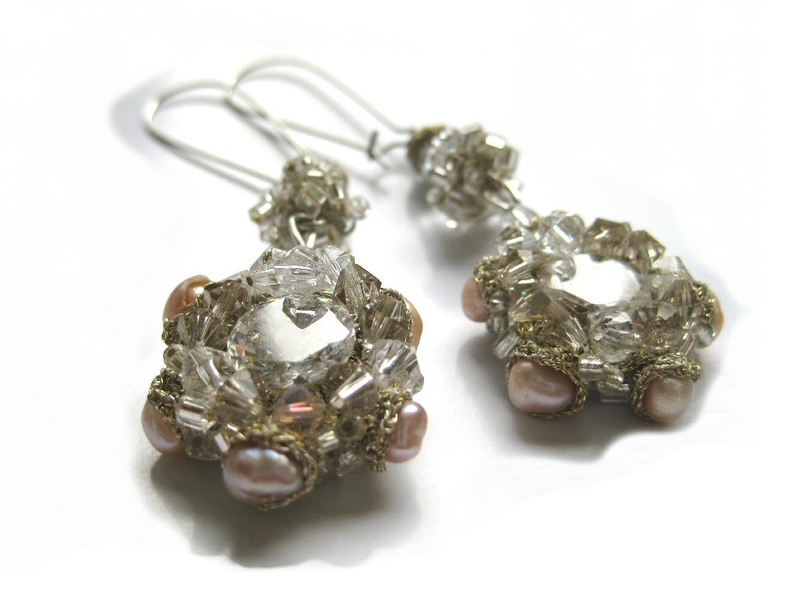 This ravishing pair of dangler earrings is made from transparent crystals and several 5mm baroque freshwater pearls in multiple colors of light lilac and light pink encased in delicate golden lace.